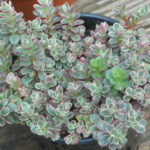 Phedimus spurius ‘Tricolor’ is a mat-forming, creeping perennial growing up to 4 inches (10 cm) tall and spreading up to 20 inches (50 cm). 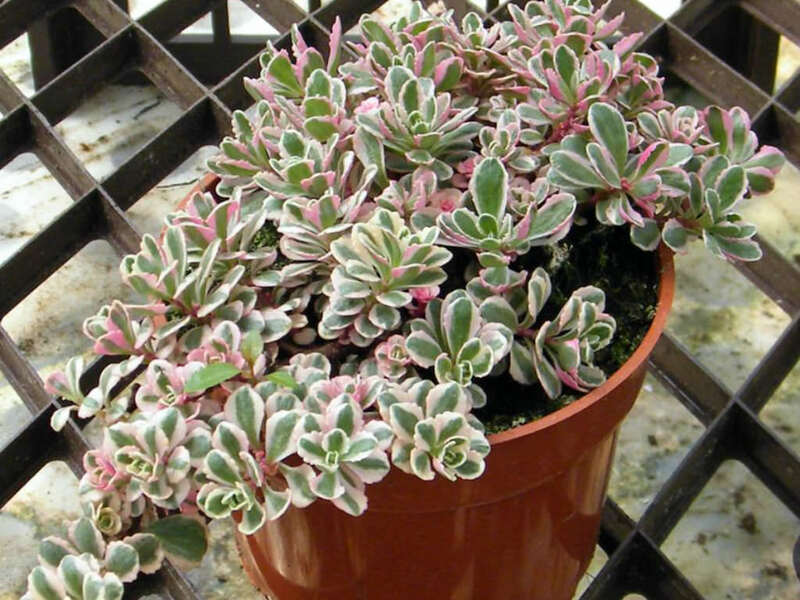 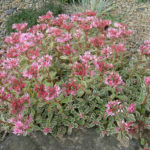 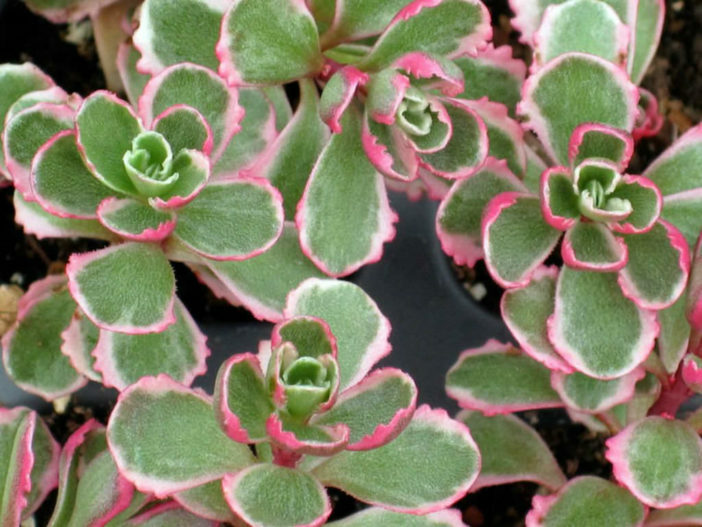 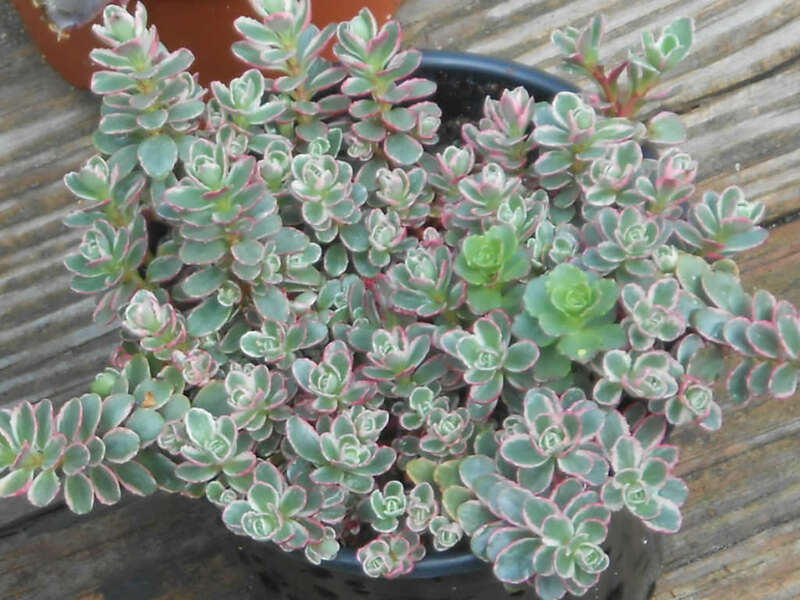 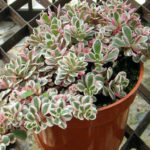 Its small, variegated, fleshy leaves are green in the center and edged with white and pink. 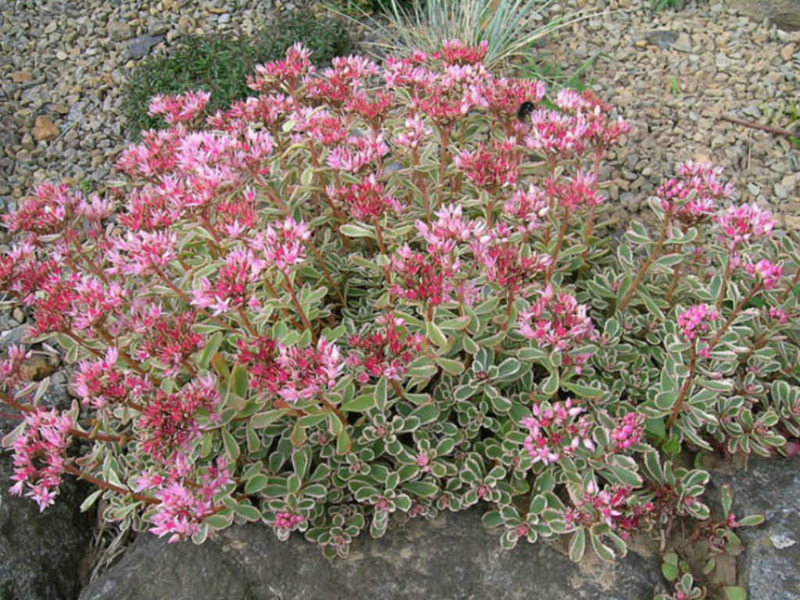 Tiny, star-shaped light pink flowers are borne in clusters in the summer.